I'm proud to be one of the first to comment on "Blood, Sweat and Tedium". No title could better describe working in the trenches of movies and television. I love the symbolism of those ragged gloves, symbolism made more poignant by the fact that they were worn ragged on the hands of the very talented writer behind this blog. An auspicious debut from a gifted man I'm proud to call my friend. Wouldn't another line of work alleviate this pain? That's what I've found. I don't miss any of the grief associated with commercials, features or episodic. Look forward my friends, there is life after 80 hour weeks. I find it funny. 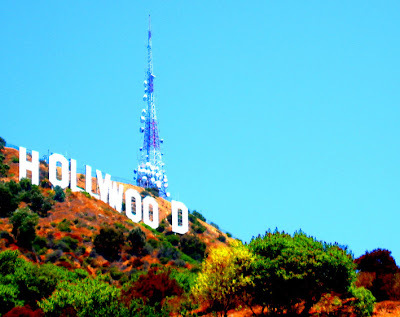 I also have the dream to "make it" in Hollywood, or at least I did. I am currently majoring in Film at UCSB. Although I have only done minor work in college as a PA, those experiences tainted my vision. I never had high expectations in the first place, but I really do not think it is worth it to go through so much brutality to not get what you wanted in the first place. Hollywood is a hell-hole, but you are right, it can also be a place of dreams. It's only bad when you go 3,4,5,6 weeks with NO WORK. That's the other thing that people have no idea what there getting into when they move down here. And that is why they come and go. From a fellow art brother.